Big news! The legendary They Might Be Giants will be releasing their new album "Nanobots" on Lojinx in the UK & Europe! 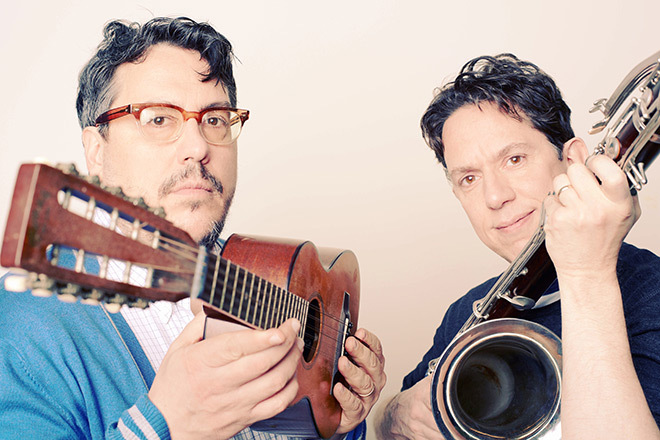 John Flansburgh and John Linnell have together perfected their deliriously catchy, original sound over the past three decades. The two-time GRAMMY winning Brooklyn originals' first release on Lojinx is the Nanobots EP, a 3-song taster of the album scheduled for release in March. Blending the band’s signature storytelling, sly humour and duelling horns and also features cover art by famed designer Paul Sahre. Follow the band on Facebook & Twitter and on www.theymightbegiants.com. The Nanobots EP is out now on iTunes, Spotify and all good digital stores.